In this tutorial you can see how to build a table with Vue.js which supports sorting, searching, and pagination while implementing a pattern called the collection pipeline. Collection pipelines are a programming pattern where you organize some computation as a sequence of operations which compose by taking a collection as the output of one operation and feeding it into the next. You 'll start off with a template for a component with data, and then turn this data from "raw" data into "presentable" data. Then you can proceed with filtering, sorting and paginating, by using Vue's computed properties. The amazing thing is that Vue.js is keeping track of dependencies. You will end up getting a full dependency tree and lazy evaluation while making the code simpler. 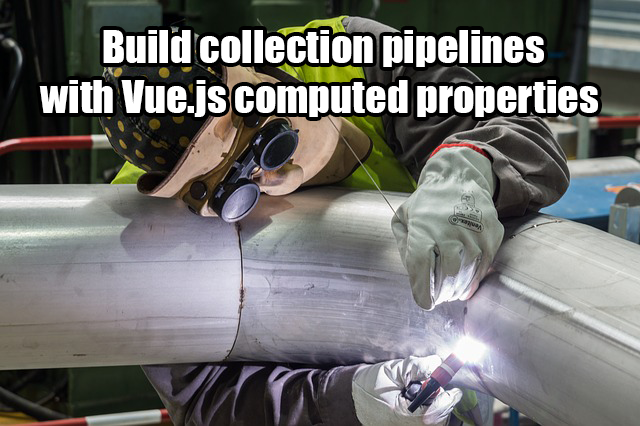 Read about Collection pipelines , here.